Today is Ada Lovelace Day; an important day in which we celebrate the achievements of women in technology and science. Like other positive equality-centric campaigns, the goal of the day is to highlight and bring awareness to great work and efforts going on: I think it is a tremendous effort on the part of Suw Charman-Anderson who founded it, and the many contributors across the world who help to bring Ada Lovelace Day to their local communities. A key component in Ada Lovelace Day is writing a blog entry that highlights women who are doing great work. Well, in the spirit of the day, I want to highlight ten women who are doing wonderful work that touches many aspects of my world. Without these folks, the communities that I am part of would not be the same, and while we should never need a reason to highlight great work, I am chuffed to bits that Ada Lovelace Day gives me a great excuse to share some thoughts about each day. 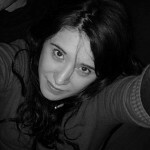 Laura Cowen – Laura’s Blog – Laura works at IBM and works in usability and interaction design. Despite her epic work at IBM, I never met her there but instead through her contributions to [LugRadio](http://www.lugradio.org/) and the various [LugRadio Live](http://www.lugradio.org/live) events in the UK and USA. She contributed so much to these events in the running of various logistical elements and in particular with A/V. Whenever I have worked alongside her I have always been wowed by her incredible humanity with people, her commitment to detail and her infectious personality. 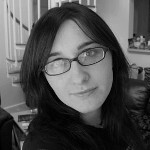 Laura Czajkowski – Laura’s Blog – I first met Laura at the SkyCon, the event that she and the other Skynet crew put together in Limerick. Since then she has become increasingly involved in the Ubuntu community, Ubuntu Women and our LoCo Teams. 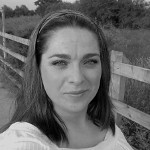 Laura has been doing a particularly rocking job with the Ubuntu LoCo Council, providing experience and insight to various LoCo teams with regard to a range of challenges and opportunities that the teams face. As time goes on Laura carves out more and more respect for her across the community with her conscientious and detailed work, and she is a solid foundation in the Ubuntu world. Máirín Duffy – Máirín’s Blog – although I don’t know Máirín particularly well, I have been following her work for quite some time now on Planet GNOME. There Máirín showcases some her incredible visual work that she performs for GNOME and Fedora. From reading her posts I have always been inspired by her positive approach to visual design, her natural tendency to share skills and knowledge (e.g. see her Inkscape and GIMP posts) and her seeming endless levels of productivity: a clear case of irritatingly capable talents that I am frankly envious of. 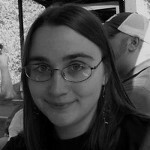 Marsee Henon – Marsee’s O’Reilly Profile – Marsee works at O’Reilly and leads their User Group Program. I first met Marsee while organizing LugRadio Live and her enthusiasm and eagerness to help, combined with her fantastic rapport with a hugely diverse range of user groups, really inspired me. Marsee and I have worked more together since I published the book, and she does a fantastic job in understanding the needs of user groups and ensuring she can do her best to help them succeed. I have never once seen her not try and help a user group make the most of their community, and with this in mind, she is an utter legend. 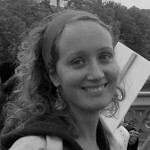 Elizibeth Krumbach – Elizabeth’s Website – Liz is a prominent member of Ubuntu Women and a well known and well respected member of the wider Ubuntu community. Liz contributes in a range of area of Ubuntu such as the Ubuntu Manual, various LoCo teams, the NGO effort and more. I really got to know her at the last UDS and she brought a calm, thoughtful and detail-orientated approach to many of the sessions. Ubuntu would not be Ubuntu if Liz was not there. 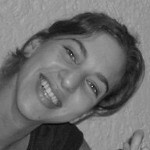 Ivanka Majic – Ivanka’s Website – Ivanka leads the Design Team at Canonical and works hard to have her team contribute excellence in design in Ubuntu. Ivanka is an absolutely incredible member of Canonical: she not only brings an adventurous, insightful and experienced guiding hand to design, but she balances an approachable demeanor with a phenomenal ability to get things done. She is well liked by her team, well liked by her colleagues and brings so much to Ubuntu. 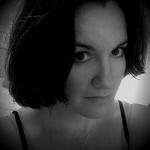 > Celeste Lyn Paul – Celeste’s Website – Celeste is well known in the KDE community and wider afield as a prominent contributor and spokesperson on interaction design and usability. 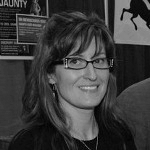 By day she is Senior Interaction Architect at UserCentered Design, Inc. and by night a member of the KDE HumanComputer Interaction working group and has also helped contribute to Kubuntu, OpenPrinting, OpenUsability e.V., and WordPress. Celeste is a tremendous and inspiring mind, a great speaker and has fantastic insight into the challenges we face in delivering great interfaces. 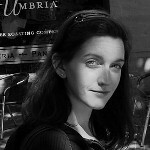 Ara Pulido – Ara’s Launchpad Page – Ara works for Canonical on the Ubuntu QA team and she is deeply involved in building automated tests, smoke testing, and encouraging our wider community to get involved in improving the quality of Ubuntu. 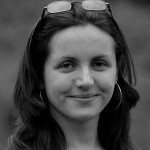 She is active in Ubuntu, upstream and demonstrates an incredible responsiveness and eagerness for her work and Ubuntu. As an example, I asked Ara to work on a last-minute EC2 test plan for Karmic the day she got back from her vacation and she had it ready within a day to an incredible level of quality. It is people like Ara which make Ubuntu what it is. I like this idea, however I firmly believe LadyAda should be on this list! Oh believe me, I missed a lot of people, but that would be the longest blog entry evaaaaaar! They arguably contribute to technical achievements too through their support and understanding.